27 March 2014, Carnarvon, Northern Cape, South Africa – The first of 64 antennas that will make up SKA’s African precursor telescope – MeerKAT – was officially launched today by South Africa’s Minister of Science and Technology, Mr Derek Hanekom. The Minister also officially opened the specialised MeerKAT Karoo Array Processor Building – the cutting edge data centre for the MeerKAT telescope that has been built in an underground bunker at the Karoo observatory site. Dignitaries from around the world, including the Director General of the SKA Organisation, representatives from SKA Organisation member countries and ministers from African SKA partner countries, convened at the Radio Astronomy Reserve in the Karoo, about 90 km from Carnarvon, for the event. “This is a major achievement for South Africa, and is a milestone of which the whole country can be proud. There has been a lot of hard work by many people to make this happen, and it is a pleasure to be standing here today in front of this MeerKAT antenna, the first element of what will be one of the most powerful telescopes in the world” said Professor Philip Diamond, Director General of the SKA Organisation “It’s also an important milestone for the SKA project as a whole as, in a sense, this antenna is the first concrete element of the future SKA telescope in Africa.” he added. The SKA project is an international effort to build the world’s largest radio telescope, with a square kilometre (one million square metres) of collecting area. 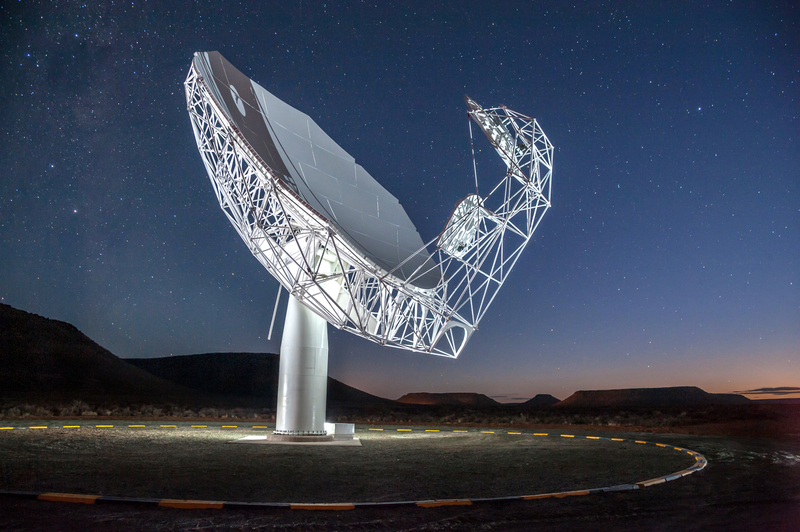 MeerKAT is one of three precursors to the Square Kilometre Array (SKA) telescope, and will be incorporated into the SKA during the first phase of construction. The other precursors, ASKAP and MWA, are located in Australia, the other host country of the SKA. 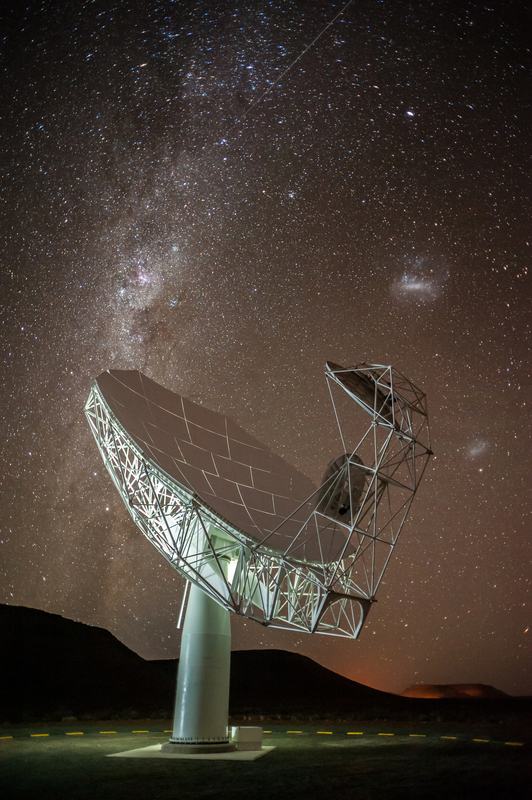 “The launch of the first MeerKAT antenna signifies South Africa’s ardent commitment to the MeerKAT project and the broader SKA project. It further typifies the excellent engineering and technical capabilities in South Africa that have enabled us to deliver a project of this magnitude within projected timeframes and budget allocations,” said Minister Hanekom. Read the full release on SKA Africa’s website.